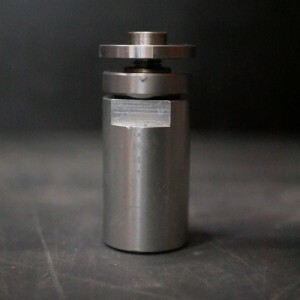 Extension piece with nut for the installation of a cup grinding wheel with a rubber dust shroud. Exists in 10, 12, 15 et 20 mm. 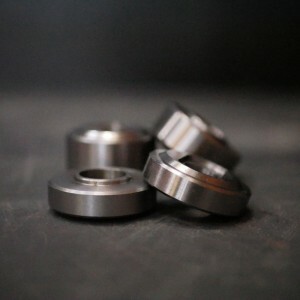 This kit contains an extension piece, 4 thick washers, 4 nuts and a bib to fit a cup grinding wheel on the bush-hammering Scoot or Stand-Up Scoot. 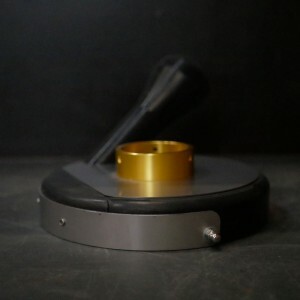 Ø120 mm rubber dust shroud for cup grinding wheels. 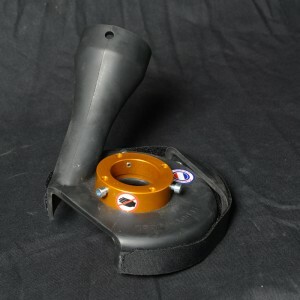 Ø180 mm rubber dust shroud for cup grinding wheel. Ø120 mm metal shroud for Scoot (Ø90 and 120 mm bush hammer plates). Ø180 mm metal shroud for Scoot (Ø90, 120 and 155 mm bush hammer plates). Ø180 mm metal shroud for Scoot (Ø90, 120 and 155 mm bush hammer plates and Ø180 mm cup grinding wheels).